Spring at the Lily Pond print by John Olsen hand signed print, from Etching House, edition of 35 only, some A/P s may be available, print size 70x65cm, sheet size 82x75cm. 12 months lay buy on 20% deposit is available at Etching House on all John Olsen fine art prints and etchings. 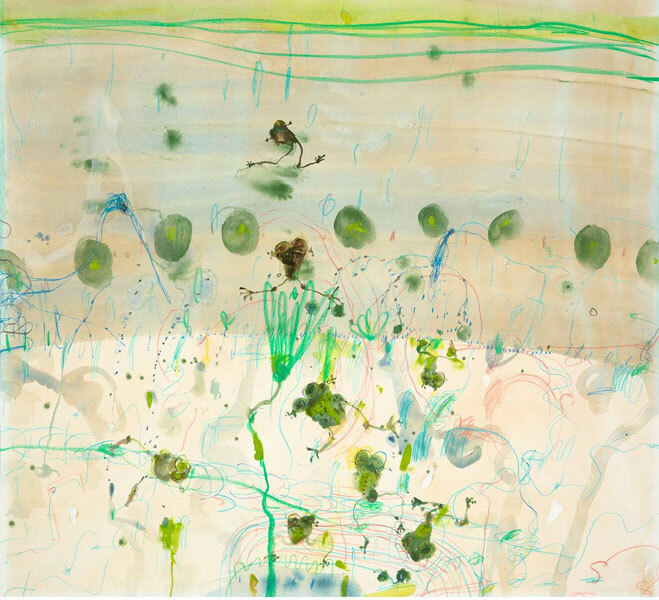 “Spring at the Lily Pond 2018” fine art print is made on pure 308gsm rag mat paper with Japanese Inks, all John Olsen prints come with his embossed logo of a Kookaburra, they are numbered titled and hand signed John Olsen. size 54 x 60 cm, Image size 42 x 50 cm, all available at Etching House.